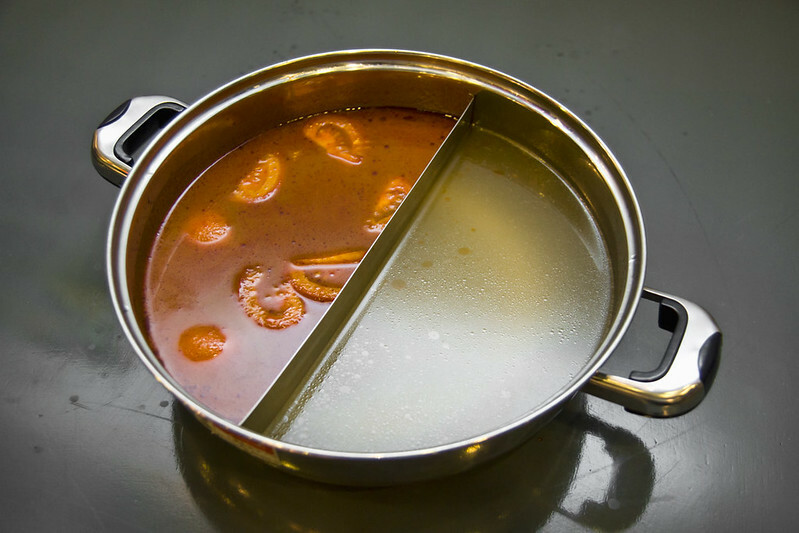 During steamboat, the most conventional soup bases are always tom yam and clear soup. 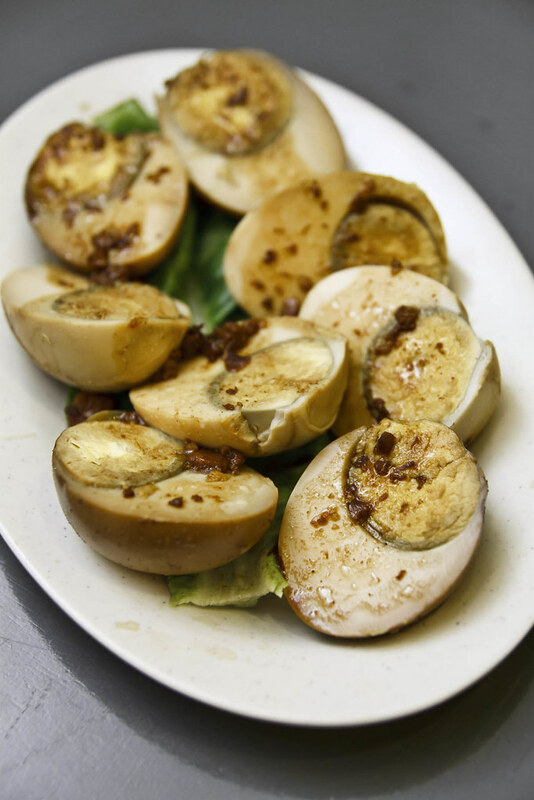 We do come across pumpkin, congee, soya or curry soup base at some steamboat restaurants, and now there’s something more interesting- Fruits based soup created by Henry Yap from Fruitaste Kota Damansara. When talking about having fruits as base, it is not about going extreme by adding in durian or cempedak into the soup, but is about putting in some juice-packed fruits such as apple, starfruits, passion fruits, pineapple that will give hints of fruity notes, natural aroma and sweetness in order to enhance the overall flavours. 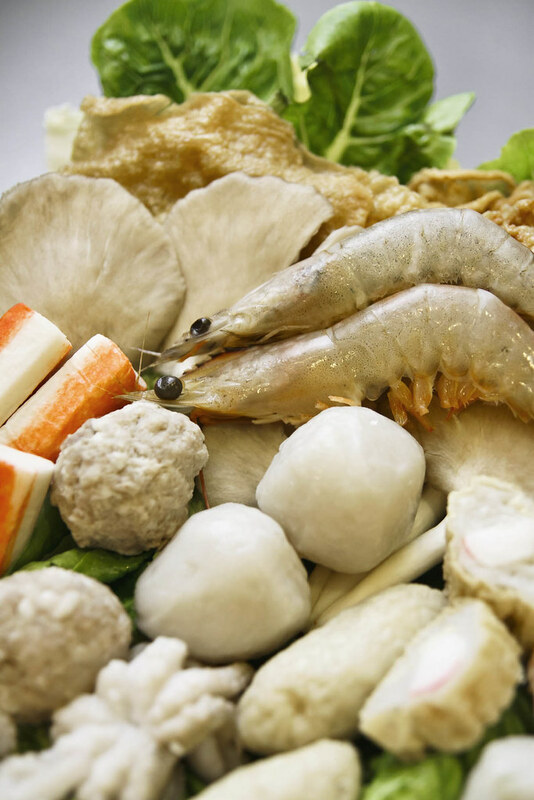 Asking the owner why he has the idea of adding fruits into steamboat soup, he said that he had tried out so many steamboat around the town, but there are too conventional to satisfy his craving, so he thought is time to create something out of the box, so this soup base born. 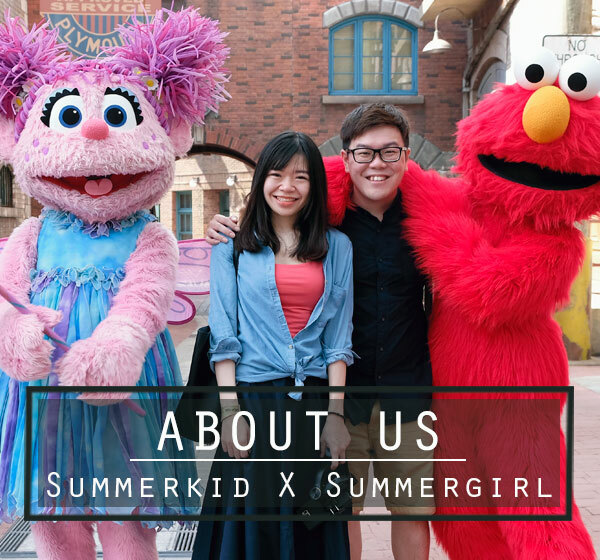 Also, with a family that owns a large orchard, he has the advantage of providing freshest fruit based soup, juices, and steamboat items to customers at more reasonable price. There are two types of fruit based soup, Sweet & Sour which consists of starfruit and passion fruit, and Fresh & Sweet soup base which consists of apple and pineapple. 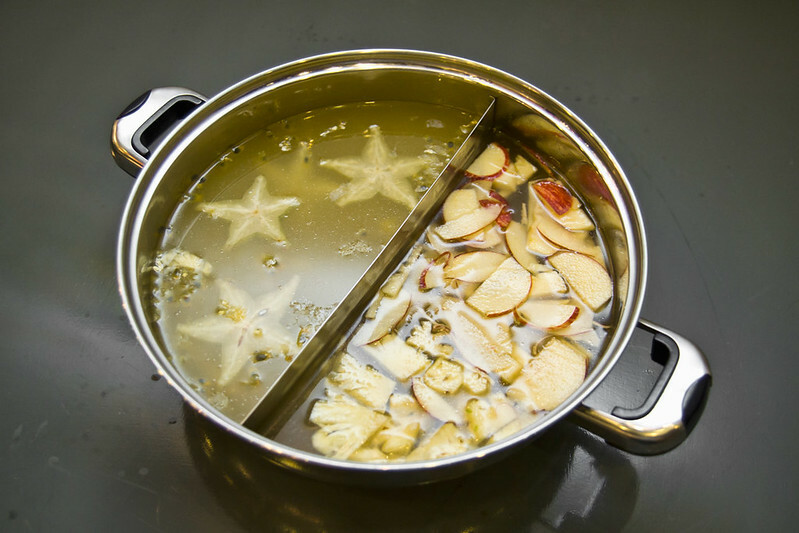 Both are boiled from soup stock for six hours, then added with fruits and continue to boiled for roughly 10 minutes to extract the natural good flavours of fruits. For those who are not adventurous enough to try the fruit based soup, Fruitaste does has the clear soup and tomyam soup version. 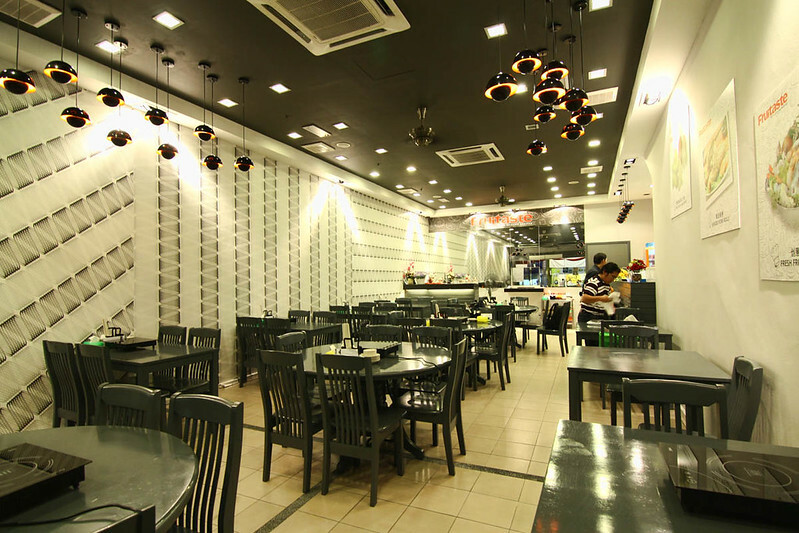 If you dine here in large group, we highly recommend you to add an extra pot of their tomyam soup. A very nice soup base that will surely give you a kick- fiery hot, very sourish. The standard set is priced at RM16.80 per pax (minimum 2 persons). 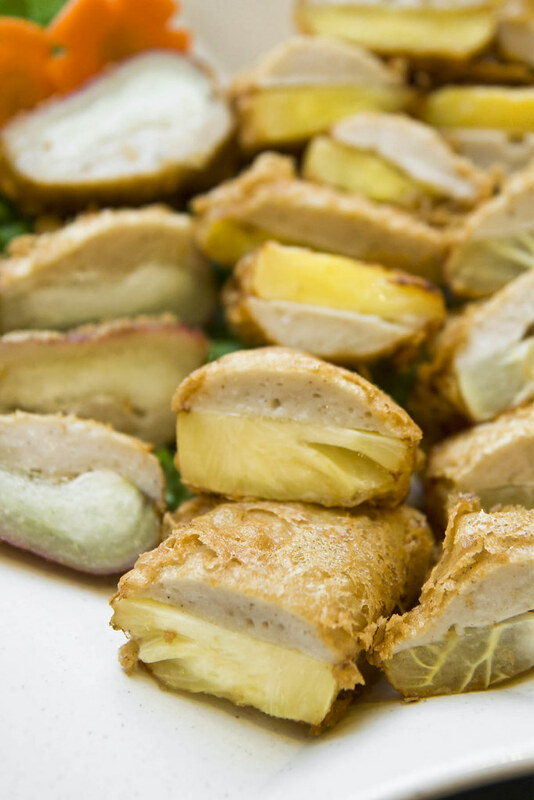 Diners can also add on with pork slices for RM39.90 or pomfrets for RM49.90. 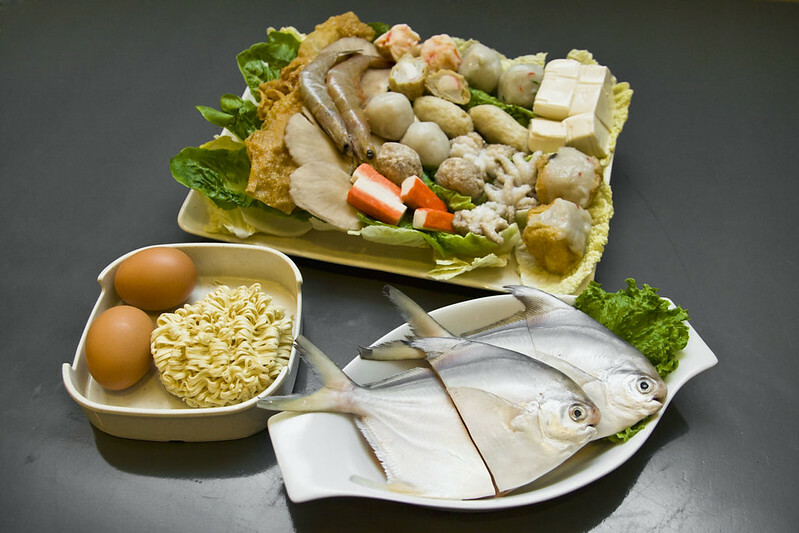 Every set is generously loaded with fresh ingredients – fish ball, crab meat balls, meat balls, bean curd sheet, taufu, vegetables, squids, crabstick, prawns, abalone mushrooms, noodles and egg. 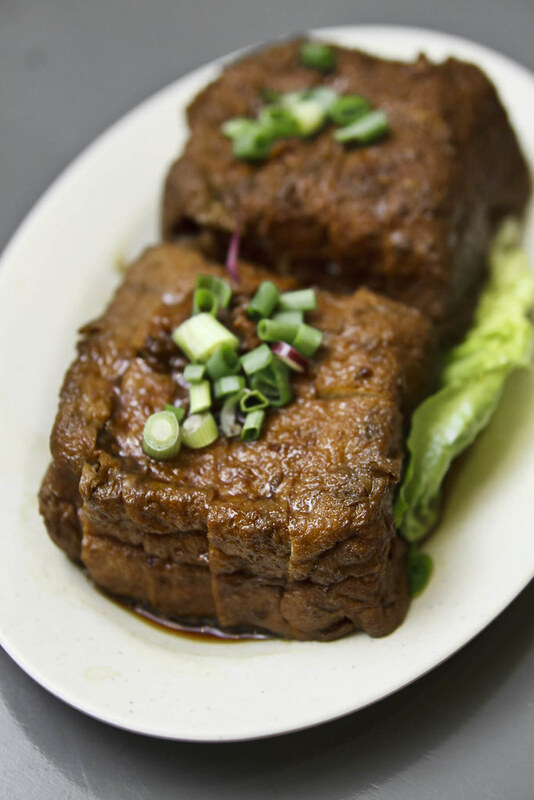 One can also get ala carte items from the menu such as stuffed beancurd, giant veggie ball and mushroom meat paste, all homemade. 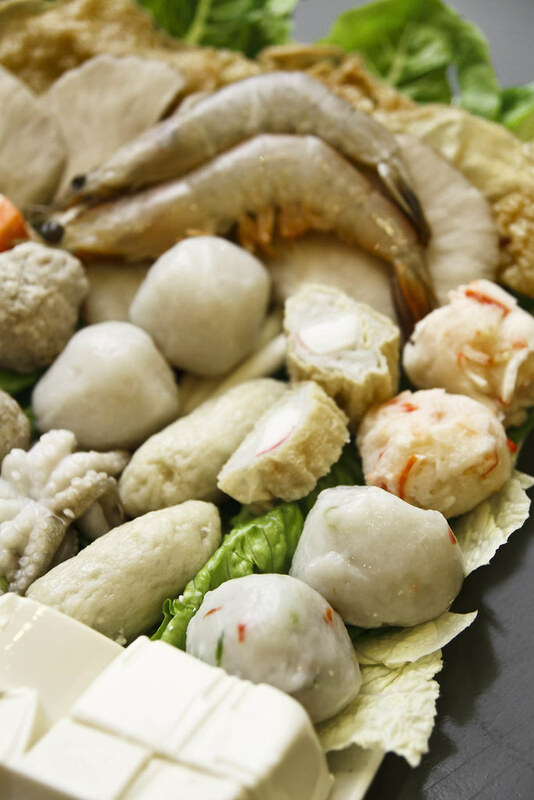 They also have Varieties of fish balls and meatballs-Pop meat balls, giant fish balls, fuzhou ball, flower fish ball, flower veggie ball, pearl fish ball, UFO fish dumpling, fish birdnest veggie roll, prawn dumpling, fish stick, fish noodles, etc. 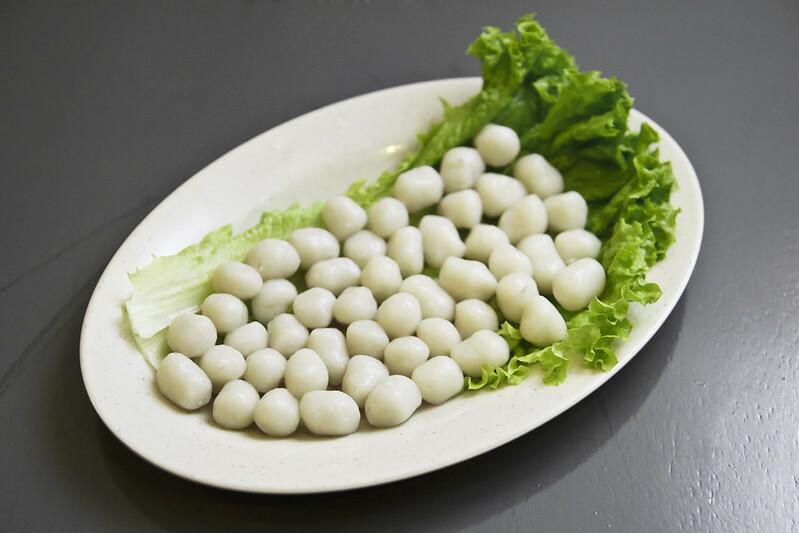 We like the pearl fish ball the most, petite size, bouncy texture. 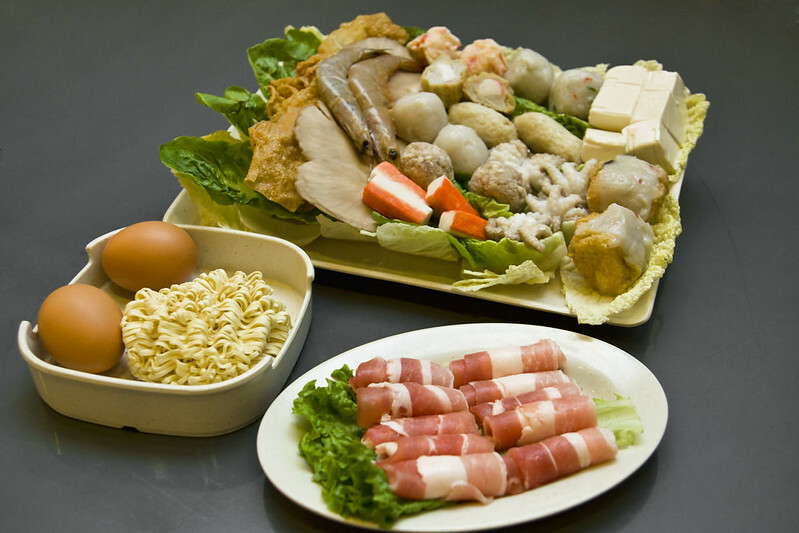 While waiting for all the bubbling and steaming, we got ourselves some cooked items to share- Braised Egg, Braised Beancurd, Minced Meat Noodles, Seaweed Mushroom Rolls, etc. hard to determine which one is better, as all taste fairly well. 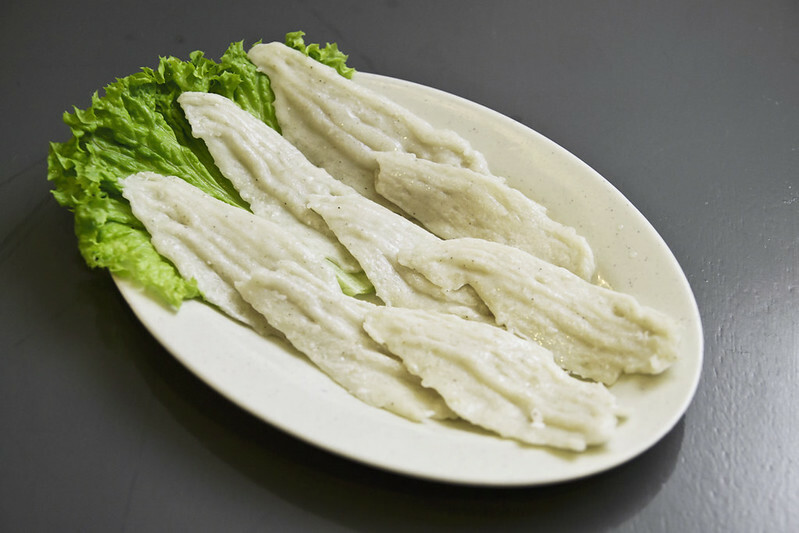 The girl like the braised beancurd, medium soft chews with flavours of braised sauce deeply infused. 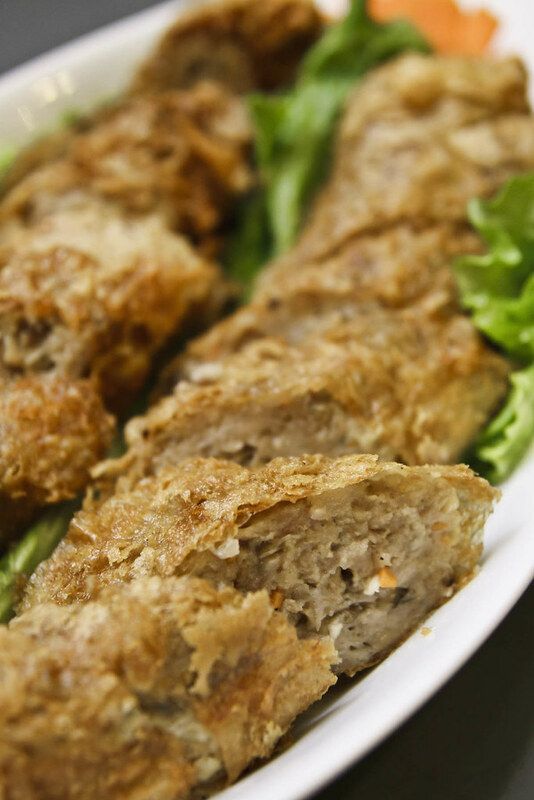 Minced pork roll made using the owner’s mum’s secret recipe is very nice too, juicy filling with thin crispy outer layer. Truly homey. 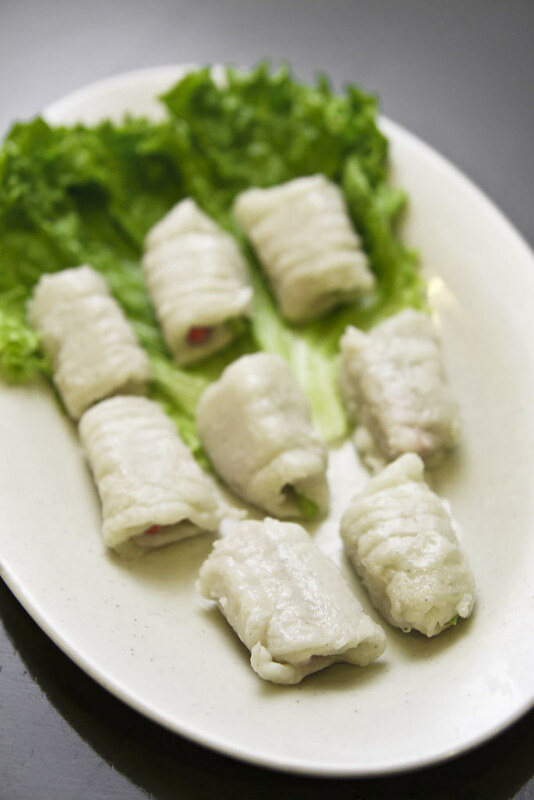 The must try appetizer in Fruitaste- Home Style Yong Tau Fu. 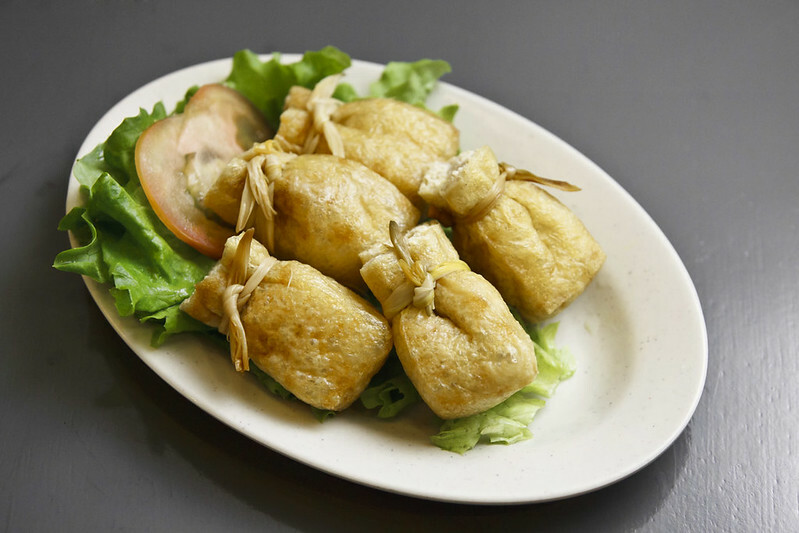 Not the usual Yong Tau fu, but is homemade fish paste stuffed with fruits and deep fried. We tried out mango, pineapple, starfruit and wax apple. All is good and we enjoy having juiciness, bounciness and crispiness in the same mouthful . Definitely a novel creation with sweet and savoury concoction. 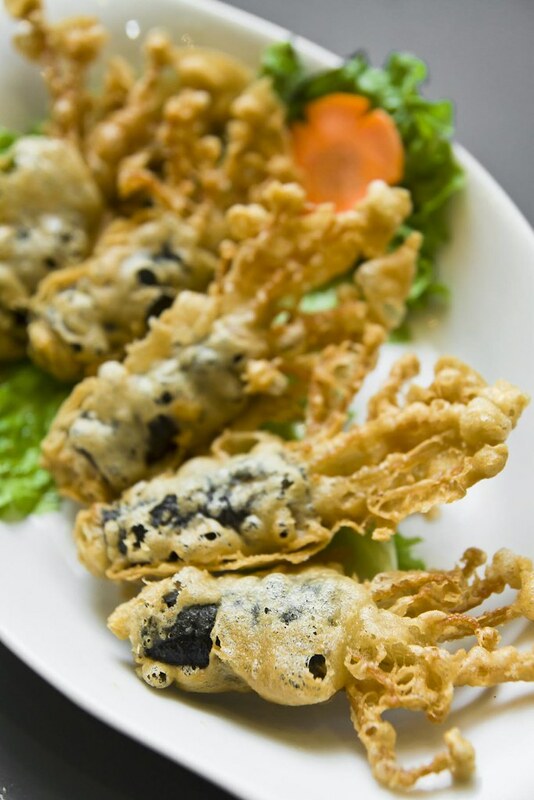 Crunchy batter with juiciness of needle mushroom bursting from within. 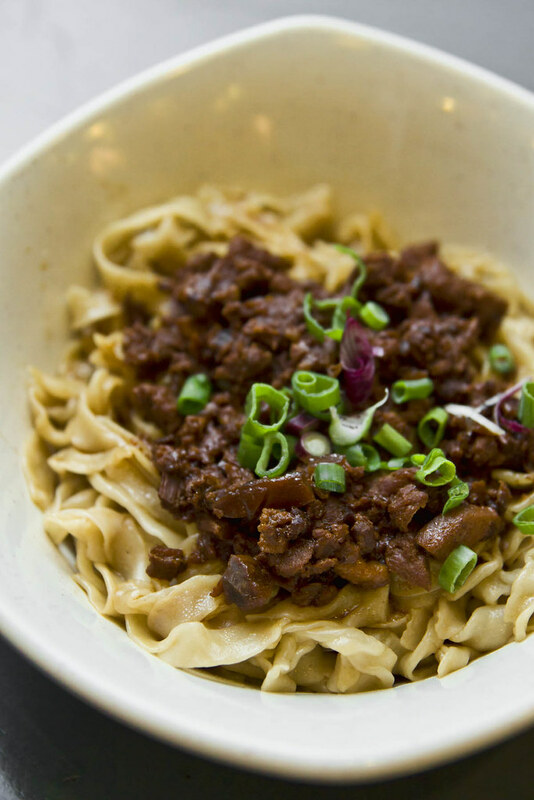 Toss, toss and toss to get the noodles nicely coated with the toothsome minced meat and gravy, something simple yet flavourful. Probably the owner should highlight this noodle as their speciality too? 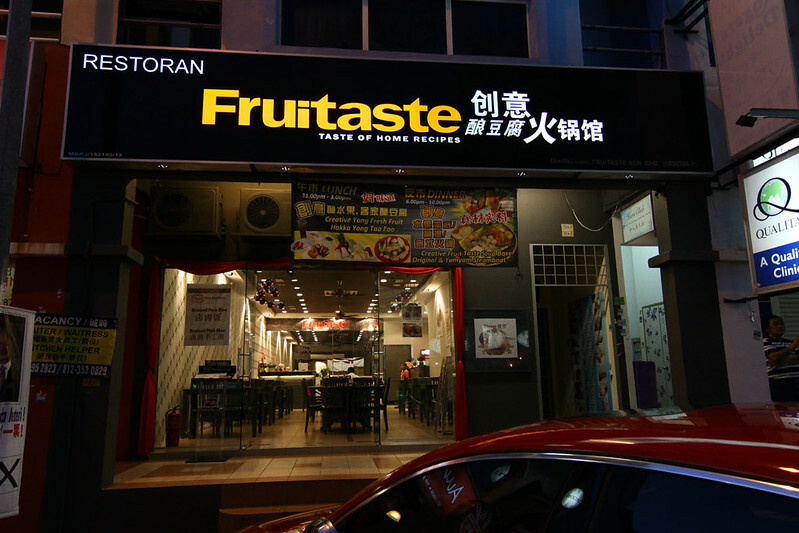 Overall, our meal in Fruitaste was a decent one, and we strongly recommend their Deep Fried Home Style Yong Tau Fu. Thanks to all these creative creaters, we get the chance to try out something different always, and most importantly there are good.